I’m trying . . . I’m really trying. I just can’t seem to be in 50 places at once. Baking, seems to be taking a back seat. 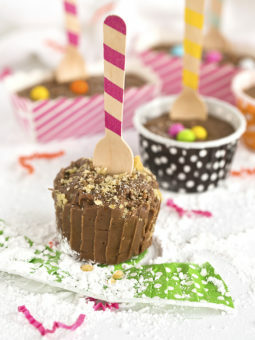 I did manage to bake these today . . . They are scrumptious and look pretty. They would be perfect for one of those Holiday Parties. Start with a puff pastry square. 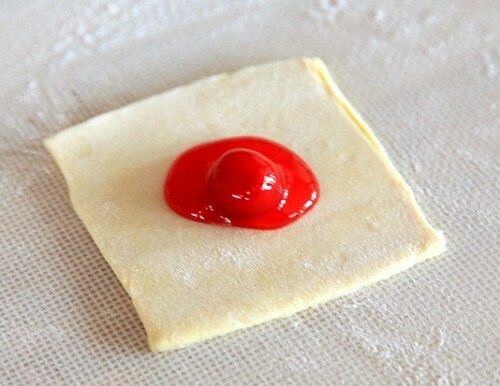 With one sheet of Pastry – cut 8 even squares. Place a scant tablespoon of filling in the center of each square. Now . 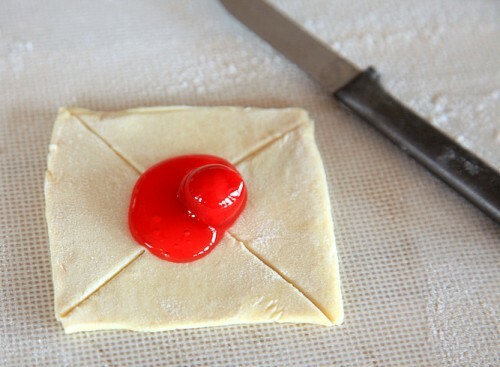 . . Take a sharp knife and cut diagonal lines from the corners of the pastry to within 3/4-inch of the preserves. Fold every other corner up over the preserves to the center, overlapping the points and pinching to seal. Make sure that you pinch the centers together well. I formed a little ball. Place the pastries onto a parchment paper lined baking sheet. Place them in a 350 degree preheated oven until they are Golden Brown on the tops & the bottoms. Let them cool slightly, and glaze them. Try not to eat all of them by yourself! Spoon 1 scant tablespoon of jam or pie filling in the center of each pastry square. Using a sharp knife, cut diagonal lines from the corners of the pastry to within 3/4-inch of the preserves. Fold every other corner up over the preserves to the center, overlapping the points and pinching to seal. Place the pastries onto a parchment paper lined baking sheet. *I glazed my pinwheels with a Confectioners sugar glaze: 2 cups powdered sugar, 3 Tablespoons of melted butter, 1 tsp vanilla, and enough milk to make it the consistency you like. I make mine so that I can pour it into a bottle and squeeze it over the puff pastry. 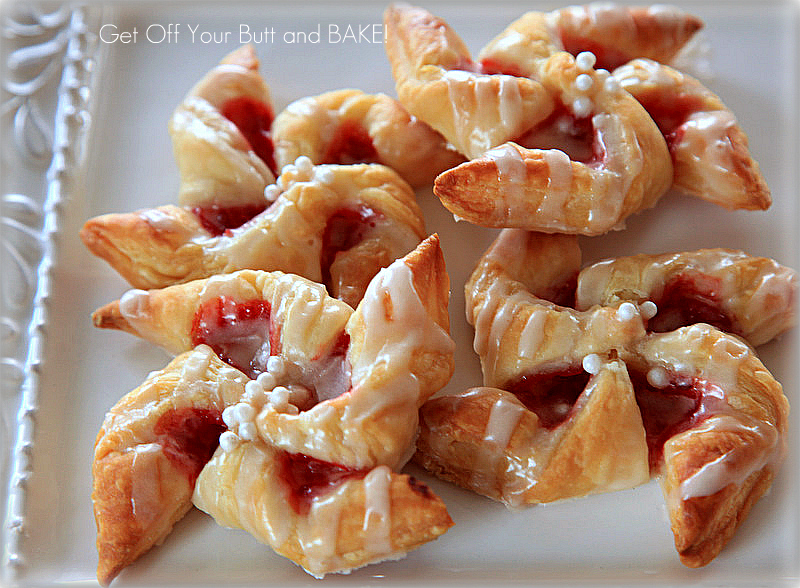 I also added some pearl sugar to the center of each pinwheel. Hayırlı günler. Ellerinize, emeğinize sağlık. Çok güzel, leziz ve iştah açıcı görünüyor. Bende deneyeceğim. Jonna! 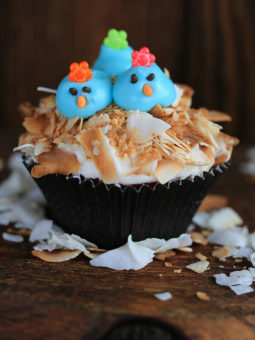 I’m making these tonight! I thought I was going to make something else but no, once again you’ve pulled me in with your scrumptious recipes and photos. 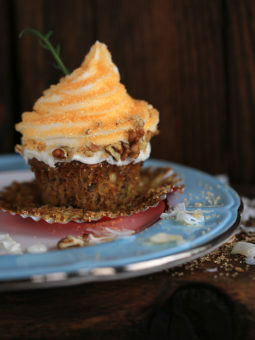 FYI, doesn’t hurt that your recipes are easy, quick, and haven’t failed me yet! Hope despite it all you are enjoying the holidays! 🙂 Wishing you all the best now & always! Make them, but don’t Bake them……freeze them all ready (unbaked) on your parchment paper lined cookie sheet. Cover them reall well…freeze. When ready to bake them, thaw them slightly, but make sure the pastry is still chilled…then BAKE! Great recipe. Mine were not so beautiful but very delicious.! Thank you so much…it couldn’t be easier…except for me not making perfect squares…hee. Thanks Angie . . . 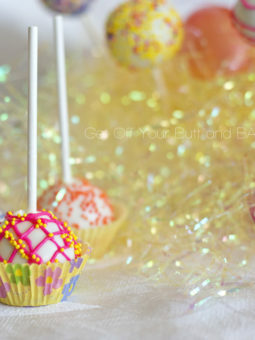 These look beautiful, but are so simple to make. They make a gorgeous Christmas Cookie!